WoodGreen Construction Inc. is a Construction Company located in Vancouver, BC, specializing in General Contracting, Architectural Renovations and Project Management for Residential and Commercial Projects. WoodGreen Construction Inc. has over 40 combined years of construction experience internationally. Our reputation for completing seemingly impossible projects on time with no compromise on quality is why we are continuously sought after by clients. From concept through to completion, the daily involvement of WoodGreen’s Directors ensures every fine detail is achieved. Home owners, Architects, Designers and Developer’s choose WoodGreen because we pride ourselves on timely and dependable quality. 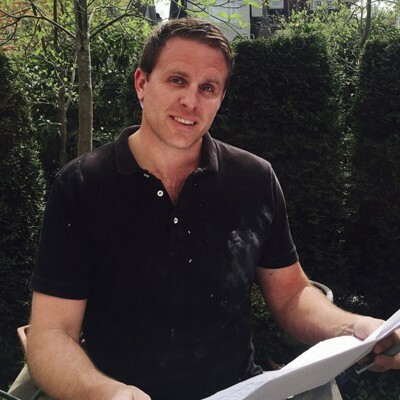 Born, raised and educated in England, Mark developed a passion for construction at an early age. Through hard work and determination, he quickly worked his way up the ranks from Site Engineer to Foreman to Project Manager, managing his first site at 17 years old. Mark completed a wide-range of projects throughout England. 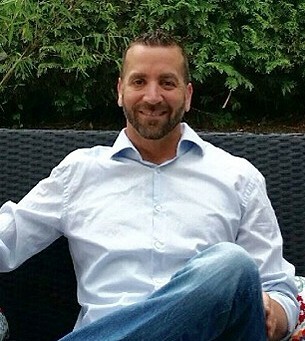 With a desire for new challenges, Mark moved to Barbados to oversee the construction of the Hilton Hotel and upon completion of the hotel, seized an opportunity to operate a local Barbadian Contracting Company, MSC Inc. With his willingness to take risks, hands on management style and strong leadership , Mark ultimately took ownership of MSC Inc. and the company experienced early success and became contractor of choice for clients with high-end residential and commercial projects in Barbados. Mark was instrumental in the formation of EMCs Caribbean Ltd. in 2012, a high-quality contracting firm that builds exclusive residences on private islands within the British Virgin Islands. With his young family, Mark moved from the Caribbean in 2016 to set up life in Vancouver, BC. ​Colin’s career began in the automotive industry before moving into construction, he was highly trained in specialty paint finishes and bodywork. He gained valuable hands-on training and experience which provided him with an unrivalled discipline for top quality finishes. Colin has excelled in construction due to his dedication to deliver top quality work. His attention to detail and craftsmanship are exhibited in the many diverse, large-scale renovations that he has completed throughout the Lower Mainland. Colin prides himself on the honest and trusted working relationships with clients and the strong relationship that long remains. Ready for the next step in his professional career Colin co-founded WoodGreen Construction. When Colin is not at work you can find him on the lake or up the mountain with his wife and two sons. COPYRIGHT © 2018 | ALL RIGHTS RESERVED | WOODGREEN CONSTRUCTION INC.